Sarah’s daughter, Mia, began using The Shadow Project in second grade for executive functioning. “Her teacher taught her how to set a goal to work toward every month,” she said. “Setting a goal is very simple, but very effective, and has had a huge impact on Mia’s self-esteem because it helps kids take ownership of their work,” she said. Sarah is the director of assessment and research, and assistant professor in the division of physician assistant education in the School of Medicine at Oregon Health & Sciences University. In that role, she focuses on student and program assessment and educational research, and coordinates the Community Outreach Project, which serves as the master’s capstone. She has a bachelor of arts in English Literature from University of Puget Sound, a master of arts in teaching from Lewis and Clark College, a master of science in educational leadership and policy in postsecondary, adult, and continuing education from Portland State University, and a doctorate in educational leadership from Portland State University concentrated in higher education. 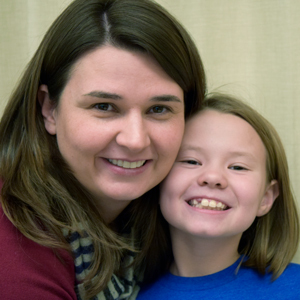 Sarah joined Shadow’s Parent Teacher Advisory Board in the fall of 2016.